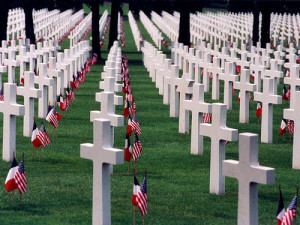 This is Memorial Day Weekend, a weekend where we remember those who died in the service of our country. It is not a day to thank the living veterans, that day is Veteran’s Day. Nor is it the day to thank those men and women who currently wear the uniform and fight the wars of our country. 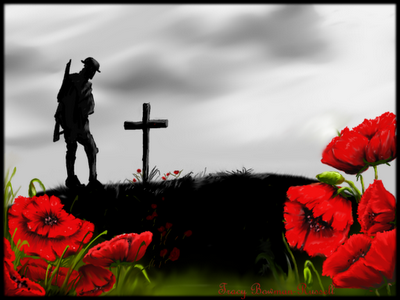 This weekend I am reposting a number of articles from past years to remind my regular readers and those new to my writings about how important this remembrance is, not just to me, but to all of us. I do not say that lightly. Memorial Day is the offspring of the families of the American Civil War dead, when people who lost loved ones in the cause of liberty and the defense of the Union honored their loved ones. 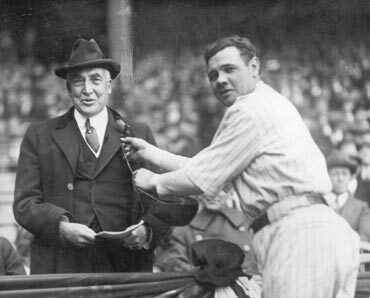 While the Buddy Poppy was something that came out of the First World War, and Armistice Day, which after the Second World War became Veteran’s Day. 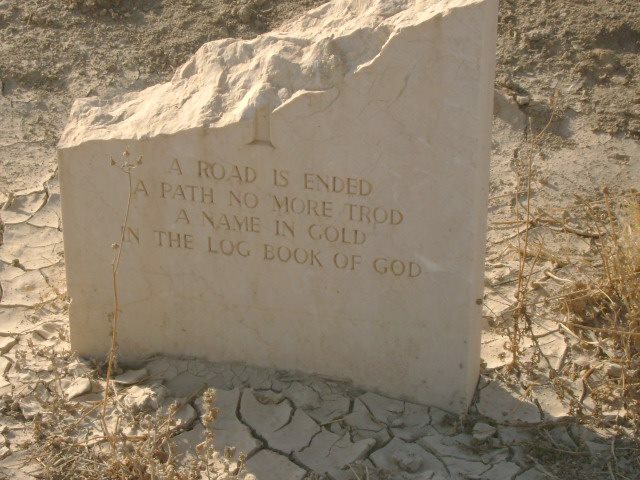 In time it has also become connected with the original Memorial Day. So today’s post is my first reflection of this weekend on the Buddy Poppy and Memorial Day. I write this in the disastrous aftermath of President Trump’s high stakes game of chicken with North Korean Leader Kim Jung Un in which he bailed after aggressively praising Kim and pushing for direct talks. When I read the President’s letter to the North Korean I realized that the chances of a catastrophic war have gone up. I also have been watching Ken Burns’ series The Vietnam War while reading Robert K. Massie’s Castles of Steel: Britain, Germany, and the Winning of the Great War at Sea. Both are filled with stories of hubris and tragedy. No matter what your political views, ideology, or religious beliefs, please take time to remember the high human cost of war this weekend, especially on Monday when we observe Memorial Day. She then had the inspiration to begin wearing Red Poppies on Memorial Day and sold the poppies to friends and others with the money going to those in need. A French woman visiting the United States, a Madame Guerin discovered the new custom and took it back to France where she began to make artificial red poppies to sell with the proceeds going to the widows and orphans of the First World War. The custom spread to other countries and in 1921 the Franco-American Children’s League sold the poppies but disbanded in 1921. Madame Guerin approached the newly formed Veteran’s of Foreign Wars, the VFW in 1922 for assistance and in 1922 the VFW became the first American organization to sell poppies. 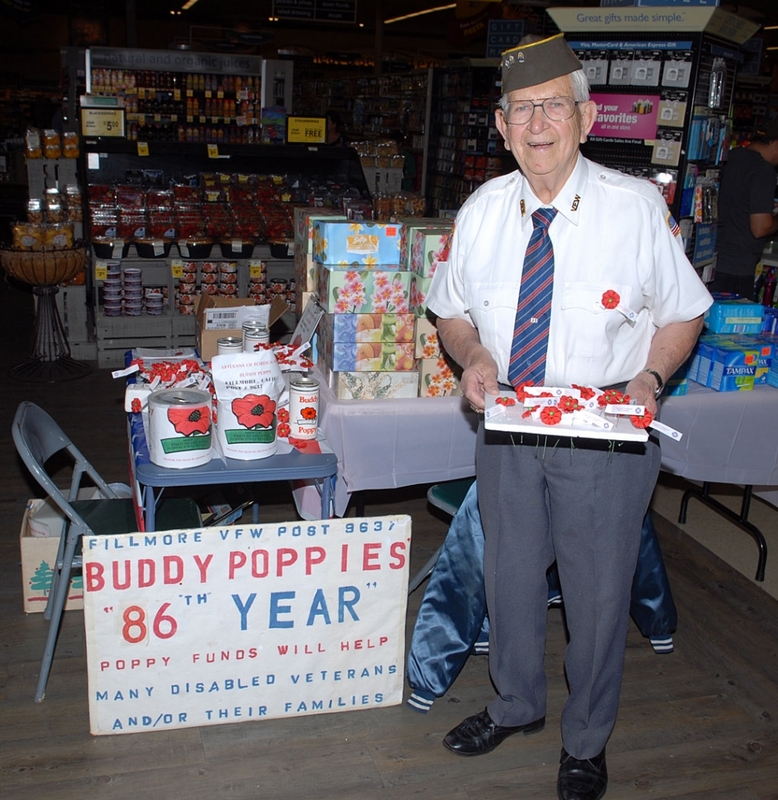 Two years later the Buddy Poppy program began. The artificial poppies were made by disabled veterans who were paid for their work in order to provide them some form of income and distributed by other veterans across the country. Today the VFW continues to distribute the Buddy Poppies which are still produced by disabled Veterans at the nation’s Veteran’s Administration Hospitals. 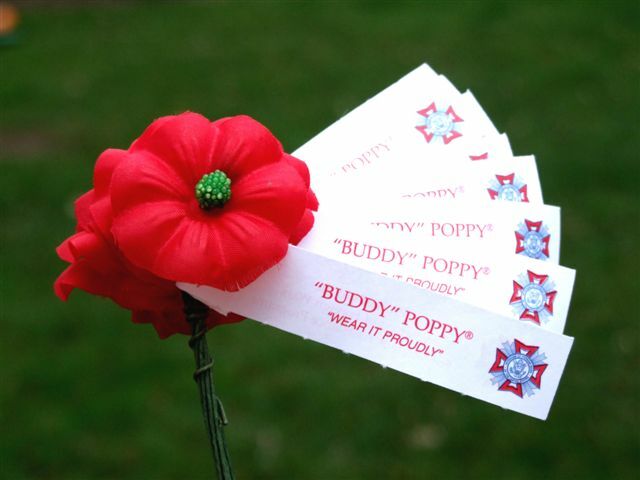 I remember the first Buddy Poppy that I every received. It was just before Memorial Day 1970, before it became a 3 day weekend falling on the last Monday of May. We were living with my Grandparents in Huntington West Virginia as my dad sought suitable housing for us in Long Beach California while he was in the Navy. Our initial move from the small town of Oak Harbor Washington, where my dad had been stationed at Naval Air Station Whidbey Island to Long Beach had not gone well. The first place we lived was in a dangerous neighborhood and with my dad traveling frequently to Naval Shipyards around the country to help commission new ships the stress on the family, especially my mother in dealing with that and two young boys was too much. Dad sent us back to Huntington where my Grandparents and numerous other relatives still lived for the duration of the school year as he sought better housing. Memorial Day then was filled with visits to cemeteries to place flowers on the graves of departed relatives as well as flags on the graves of relatives who had served in the military. We made a number of stops that day at the Bowen and Dundas cemeteries as well as others where relatives were interred. Afterward we had a home cooked meal prepared by my maternal grandmother Christine and then made a trip on a city bus to to the other side of town to see my paternal grandmother Verdie. Holidays, were much like that for us during that time that we lived in Huntington, until my dad came back and brought us back to Long Beach in June. Just before my dad arrived to take us back to Long Beach my mom, her cousin Valerie and I were shopping downtown, which at the time before I-64 took traffic around the town and led to a new mall and shopping complex being built just out of town, was a bustling place of commerce and activity. Major retailers all had their stores downtown, while the best movie theaters and restaurants were there as well. We were coming out of the old SS Kresge store on Fourth Avenue and an elderly man wearing a VFW cap approached us and handed me a poppy. He had to be in his 70s so I presume that he was a Veteran of the First World War. He chatted briefly with my mom and Valerie and I am sure my mom gave him a bit of money for the poppy. I kept it for many years and it was eventually lost in one of our moves. But I will not forget it and any time I see a Veteran distributing them I make sure that I get one. But I haven’t seen anyone passing them out for years, maybe I will need to start getting them and giving them out myself. Maybe I’ll start that as Veteran’s Day approaches. For me the Buddy Poppy is a symbol of thanks for the sacrifices made by so many, those who did not come home from wars being killed or missing in action, as well as the wounded and the families of the dead and those that came home forever changed by their time in war. This year marks the 90th anniversary of it being the official flower of remembrance for those who died in our nation’s wars. The poppy has even more significance for me now having served in Iraq. Seeing war’s devastation and knowing so many who have either been killed or wounded in the wars that we have engaged since September 11th 2001 has impacted me in ways that I could not have imagined before the war. 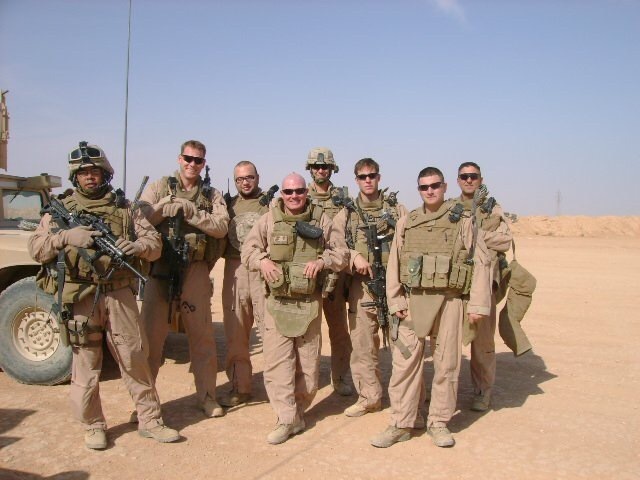 Likewise having come back changed by my experience and having to deal with the affliction of severe PTSD I sense a camaraderie with those men who came home changed from war and in many cases returned to a country that did not understand them. I will be observing the “Go Silent” moment at 12:01 Monday with the Iraq Afghanistan Veterans Association to honor those who have given the last full measure. It is Veterans Day and I have been reflecting on the many friends, comrades, and shipmates, not all of whom are American that I have served alongside, or have known in the course of my 36 year plus career. It is a peculiar bond that veterans share. On Veterans Day the United States choses to honor all of its veterans on a day that was originally dedicatedly Armistice Day, a day to remember the World War One, or the War to End All War. But in a broader more universal sense we who have served, especially in wars that do not fit with our nation’s ideals, share the heartache of the loss of friends, comrades, and parts of ourselves with the veterans of other nations whose leaders sent their soldiers to fight and die in unjust wars. It is now ten since I served in Iraq and nine years since my PTSD crash. However, I still would do it again in a heartbeat. There is something about doing the job that you were both trained to do and called to do that makes it so. Likewise the bonds of friendship and brotherhood with those who you serve are greater than almost any known in the human experience. Shared danger, suffering and trauma bind soldiers together, even soldiers of different countries and sometimes with enemies. I remember the conversation that I had with an Iraqi Merchant Marine Captain on a ship that we had apprehended for smuggling oil violating the United Nations sanctions. The man was a bit older than me, in his early 60s. 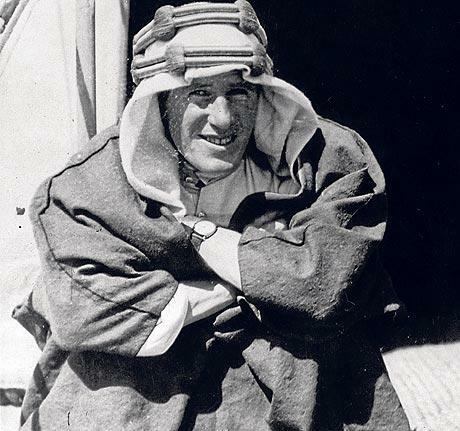 He had been educated in Britain and traveled to the US in the 1960s and 1970s. He had the same concerns as any husband and father for his family and had lost his livelihood after Saddam invaded Kuwait in 1990. He was a gentleman who provided for his crew and went out of his way to cooperate with us. In our last meeting he said to me: “Someday I hope that like the Americans, British and the German soldiers at the end of the Second World War can meet after the war is over, share a meal and a drink in a bar and be friends.” That is my hope as well. We live in a time where it is quite possible or even likely that the world will be shaken by wars that will dwarf all of those that have occurred since the Second World War. Since I am still serving I prepare myself every day, and speak frankly with those who I serve alongside of this reality. The past few days have been pretty busy both at work and socially so try as I might I was too tired to write anything but even so to quote Hedley Lamarr (Harvey Kormann) in Blazing Saddles, “My mind is a raging torrent, flooded with rivulets of thought cascading into a waterfall of creative alternatives”. The period of time from November 9th to 12th is filled with historical events that when one just takes a moment to step back and look at them are amazing to comprehend. Let’s look at November 9th to start with, in 1918 Kaiser Wilhelm II abdicated the German throne as a popular revolution began the Weimar Republic. Just five years later Adolf Hitler attempted to overthrow the Republic in what is know known as the Bier Hall Putsch. In 1938 the Nazis, using the excuse of the death of a German diplomat in Paris unleashed the Kristallnacht terror against German Jews, but in 1989 the same day was when the Berlin Wall fell. November 10th is the birthday of the United States Marine Corps at Tun Tavern in Philadelphia, it is also the anniversary of the wreck of the S.S. Edmund Fitzgerald. 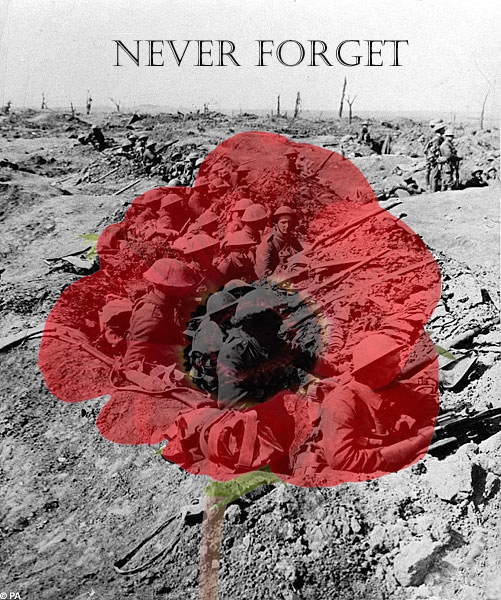 November 11th is Veteran’s Day which began as Armistice Day in 1918. The armistice ended the fighting on the Western Front but the subsequent collapse of the old order, economic, political, and social chaos that followed brought about further wars and remade the world with consequences that are still being felt today. Today in the United States we use the holiday to honor all of our military veterans, but somehow most people don’t understand the real reason why we celebrate this day. November 11th is also recognized as Independence Day in Poland when it declared its independence from German, Austrian, and Russian control in 1918. November 12th begins the 75th anniversary of one of the bloodiest naval battles of the Second World War, the Naval Battle of Guadalcanal. I should be putting something out in honor of the Marines later tonight as well as Veteran’s Day tomorrow as I hang out with Judy and the puppies and start getting our home ready to host friends on Thanksgiving and my staff for a holiday get together the following week. So as the Germans say bis spater.